Birch, natural lacquered, three legs. Seat options: birch veneer, linoleum, laminate, upholstered. 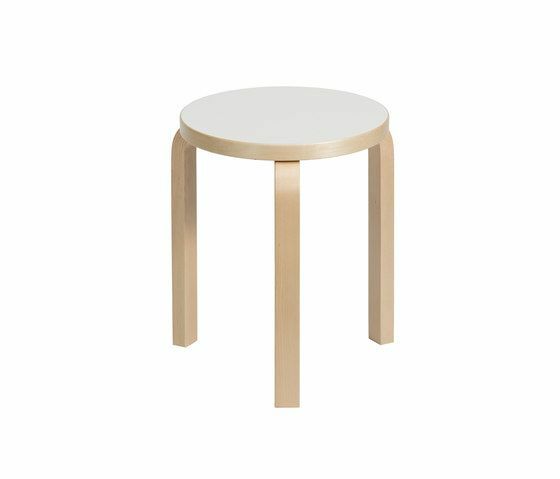 Also available lacquered in white or black, and Hella Jongerius Versions Upholstery options: Artek's standard fabric or customer's own fabric, leather. Stackable.